This day last week, I finished my contract with TG4. It feels like only a blink ago I wrote THIS POST about starting the job, but already the Róisín show has come to an end and I'm back to the drawing board in terms of what's next. 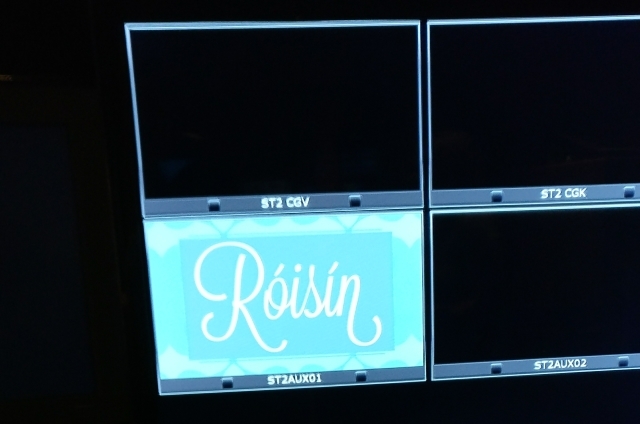 I loved, loved, loved working with the Róisín team and I'm really sad that it's over but I'm no stranger to walking off this particular cliff - metaphorically speaking. When I was made redundant a few years back, I decided to take a year out and see where it would take me. That accidentally stretched to two years and, although there were some moments of financial worry and many moments of self-doubt and panic-induced job-searching, it taught me a lot. I learned that humans don't really need an awful lot to survive. We need a roof over our heads, some clothes for our backs, food in our bellies and something to keep our minds occupied. Everything else is gravy. I learned that, even though we had very, very little money - we were no less happy than we had been before I stopped working my full-time job. In fact, in many ways, I was happier. We developed little routines that revolved around free things - like going to the library and for walks in the woods and we spent a lot of time with family and friends. 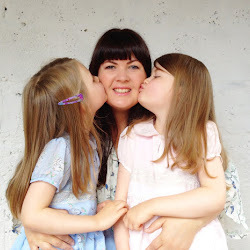 Every now and then this blog would land a nice little luxury in our laps, so sometimes we even felt like nothing at all had changed except that I got to be at home with the children like I always wanted. I also learned to be grateful. Grateful for my privileges and for my place in the world. Grateful that I was given a good education. Grateful that I have a loving and supportive family. And grateful beyond measure that my parents sent me to a Gaelscoil - because having Gaeilge as a second language has brought me everything I've ever wanted. Beidh mé buíoch dóibh fad a mhairfidh mé. Something else I learned when I was technically a Stay-At-Home-Mum is that I actually really like to work. In fact, even when I don't have a job-job, I seem incapable of not creating work for myself outside of parenting. 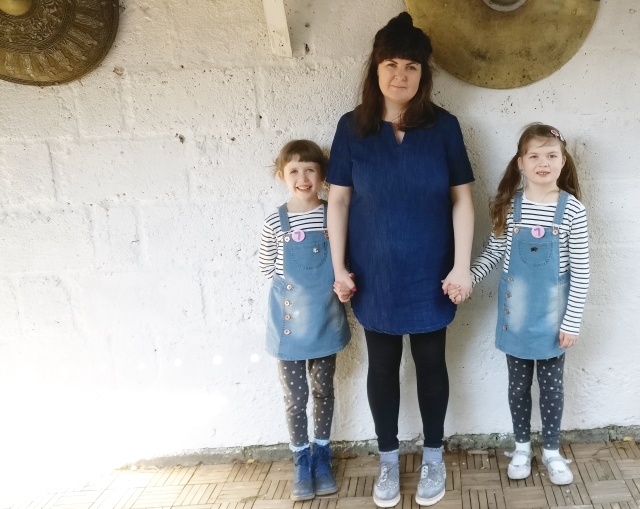 So all the time I was 'off', I kept up this blog and I wrote for a magazine and I did a bit of TV work and I took a parenting course and a writing mentorship and wrote a book (which is now being published!) and even though none of those things constituted making a living wage, I did them because I enjoyed them. Purely for the thrill of trying new things and seeing what would happen. After two years of 'keeping myself busy' - the opportunity with TG4 came up and I daresay I wouldn't have even gotten the job without having done those other technically-not-work things during my 'redundancy'. I never would have even applied had I not been made redundant in the first place and I wouldn't be as unafraid as I am now about walking off the cliff if I hadn't found that deep gratitude for all that I have and for the knowledge that I know how to survive and even thrive regardless of my income level. So, I've yet again taken a leap into the unknown. But what's next? I'm not 100% sure yet! But there is some book stuff coming up and a few more TV things in the 'potential' pipeline and a few other projects I'm working on too. And there's always this space, and you, to keep me going. 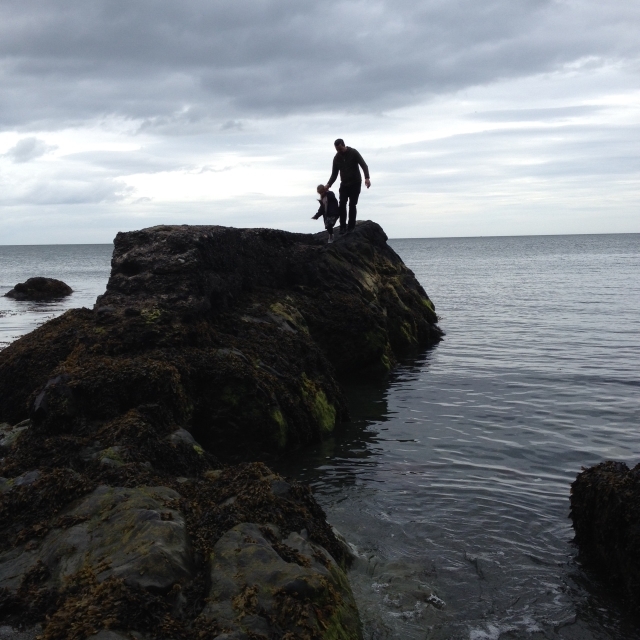 Walking off the cliffs is kind of exciting to be honest... as long as they're metaphorical ones!